The Earth’s polar sky is set ablaze by a strange light, at once ghostly and enchanting. Those who have seen an aurora event never forget this impressive experience. Scandinavia’s Saami people, Alaska’s Inuit, Canada’s Native Americans, New Zealand’s Maori – they all have their legends about the origins and meaning of this magic natural spectacle. These stories tell of ancestral spirits dancing in the sky, of a bright and better world where hunting game is abundant, of battling gods and celestial messages. 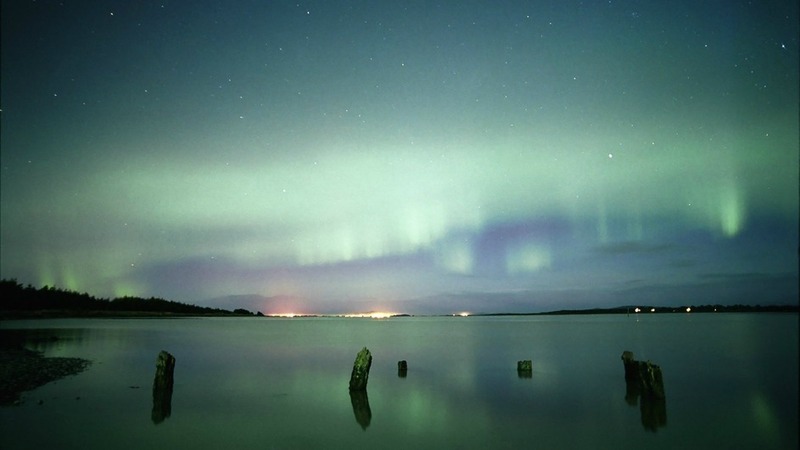 This program links such popular legends to the aurora’s physical properties and effects. It covers the history of aurora research and the most recent scientific discoveries. Among the most important centres of aurora research are the universities of Tromsø, Norway, and Fairbanks, Alaska. Huge radar installations monitor the interactions between the earth’s magnetosphere and the solar wind – because the source of the aurora is our sun, which emits a constant flow of electrically-charged particles. Near the Earth, this flow is directed towards the polar regions by the Earth’s magnetic field. There, the energetic particles collide with atoms of the atmosphere, causing them to emit light, an effect reminiscent of a neon tube. The sun’s activity is subject to an 11-year cycle. Around 2013, scientists expect the current solar cycle’s to reach its maximum and so create an increase in aurora events. They got a foretaste on February 15th, 2011, when the strongest solar eruption in four years occurred. The following months saw even more such eruptions. When the solar particles reached the earth about two days after each event, they lit up the arctic and antarctic skies. The magic fires in the sky are visible proof of the sun’s activity. But there is more to it: when the cosmos gets ‘stormy’, radio and satellite communication as well as power grids are often disturbed. On March 13th, 1989, a massive solar storm caused a nine-hour power outage in Canada’s Quebec province, affecting six million people. In some regions of the world, the aurora was traditionally seen as an evil influence, especially in central Europe where the phenomenon is very rare. Fires in the sky were taken as portents of war, disease and other disasters. Breath-taking time-lapse recordings of aurora events, shots from satellites, lavish computer animations of the ‘space weather’ as well as scenes from the daily lives of indigenous peoples of the Arctic add up to a comprehensive portrait of the aurora – and shine a light on its influence on humans and the natural world.